We offer material handling equipment, which are widely used in various industries, warehouses etc. Our range is manufactured using quality components. We offer a spectrum of Chain Conveyors, which are used for carrying materials like bagasse, coal, mud, oilseeds, grain and other free-flowing materials from one place to another. Available in various capacities, shapes and sizes our range can be customised as per the requirements of our customers. 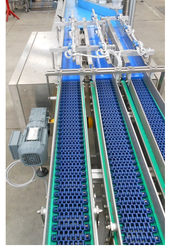 Pusher conveyor Depending upon the application and product, conveyors that utilize magnets, vacuum, cleats or fixtures are also available in a wide variety of configurations. 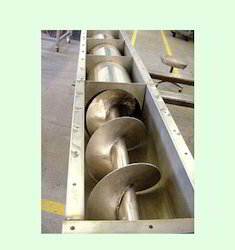 We manufacture a wide range of screw conveyors that are used for conveying crushed materials from one place to another. Fabricated from quality raw materials like stainless steel and other metals, our range is known for their robust construction and resistance to wear and tear. 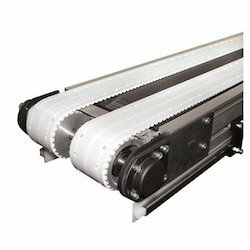 We provide Belt Conveyors for material handling purposes. Our belt conveyor is widely accepted for its durable construction & also for their energy efficiency. Leveraging on experience, we can offer belt conveyor in varied lengths and widths, to suit varied industrial applications.